Gorgeous, stand-alone condo has been renovated and is move-in ready. 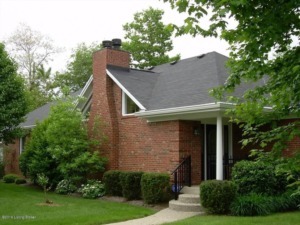 Close to Tom Sawyer Park, great shopping, as well as easy access to Snyder Freeway! Hardwood floors. Brand new roof 2015, newer paint, granite counter tops, underground pet fence, gorgeous landscaping, finished waterproofed basement with plenty of space as well as a billiards area. Two Bedrooms upstairs and two Bedrooms downstairs. 3 full bathrooms. 2 fireplaces. The kitchen boasts a breakfast nook, abundance of cabinet space, and built in book shelves. This is a ''FEE SIMPLE'' property so you own the land as well as the home. HOA covers water, grass cutting, garbage, exterior painting & snow removal. Click to schedule your showing.